home/ » How can I make my conservatory warmer in winter? How can I make my conservatory warmer in winter? There’s no way you’d stop using your living room for half the year, so why should you do the same with a conservatory? Conservatories are glorious in summer but they can be icy cold in winter. So what can you do to keep them warmer? A draughty room will never really be comfortable to sit in during the winter months. Draughts also allow heat to escape from your conservatory. Slipped roofing panels can be a source of cold air entering, but you should also check the seals on windows and doors, renewing where necessary. Draught excluders laid at the bottom of doors may also help. However, glazing is actually one of the main sources of draughts – heat loss through glazing will always be more than through the brick walls of your house. Thermal blinds or shutters can really help: they trap a layer of air between the blind or shutter and the walls or roof of the conservatory, resulting in reduced heat loss. Thermal blinds can also come in handy during hot summers – by closing them you can keep out some sunlight and prevent the conservatory from overheating. The floor is often overlooked when thinking about how to keep a conservatory warmer. The walls of a conservatory have to be glazed, but the floor can be made of anything. Adding thick underlay, underfloor heating, carpet or even just a few big, fluffy rugs can make a huge difference to heat loss. A little investment in insulation will soon pay off in reduced heating bills! Conservatory furniture is often designed for summer use, meaning it may lack a certain snuggle factor. Layering up cushions, blankets and throws can take the chill off surfaces such as leather or wicker chairs, making them much better for a midwinter curl-up. Even with the very best insulation, a conservatory will still need some additional heat source in the colder months. Building regulation approval may be required to add a radiator connected to your central heating system, so many people opt for an electric alternative instead. There are lots of different options for plug-in heaters, from oil-filled radiators to convection heaters or infrared heaters specially designed for conservatories. One important thing to remember is that because heat loss from conservatories tends to be quicker than in a brick-built room, it doesn’t make sense to warm up the room a long time before use – the heat will simply be lost. Underfloor heating is certainly an option worth considering. You could go for either a ‘wet’ or ‘dry’ system, depending on whether you use pipes circulating hot water or pads with heated filaments in them. They can easily be retrofitted in most conservatories. Turning a conservatory into a usable room is easier with modern conservatory roof insulation. Older conservatory roofs often have very poor insulation – polycarbonate or double-glazed glass, for example, were frequently used. Modern conservatory roofs harness new technology to keep you warm all year round. 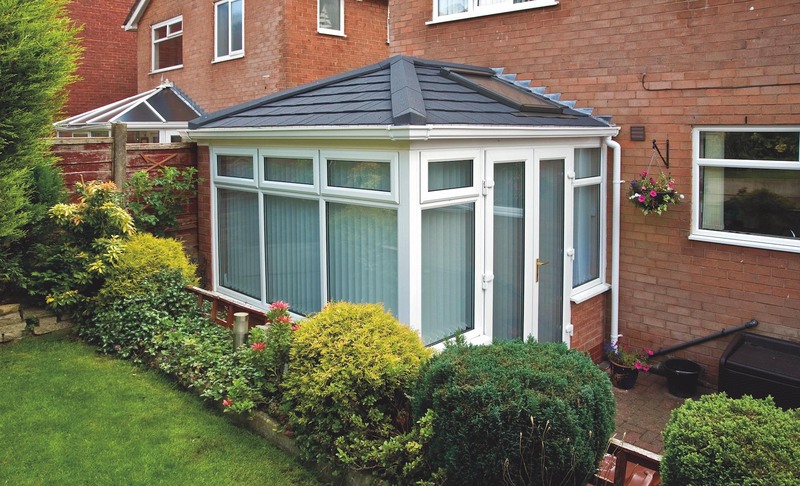 A tiled conservatory roof provides excellent insulation and looks in keeping with the rest of your home. 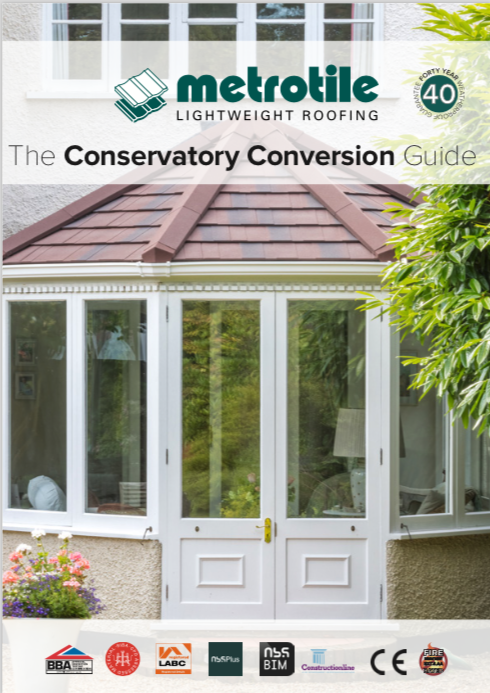 While the tiles may look like traditional roof tiles, in fact a lightweight conservatory roof is made from different materials and can therefore be supported by almost any existing wall structure. Tiled roofs keep the conservatory cool in summer and warm in winter and are quick and easy to fit as well as being cost-effective. If you’re not keen on the appearance of a tiled roof, hybrid options combining glazed sections with insulated roofing panels are also a good choice. If you have an older conservatory, the outlay for full replacement of glazed panels might be a sound bet. There are a huge variety of different types of glazing, and some older types really underperform compared to modern options. Depending on your budget and how much you plan to use the conservatory, full glazing replacement can prove a wise and worthwhile choice, giving you a much-loved, sociable space to enjoy in any season.